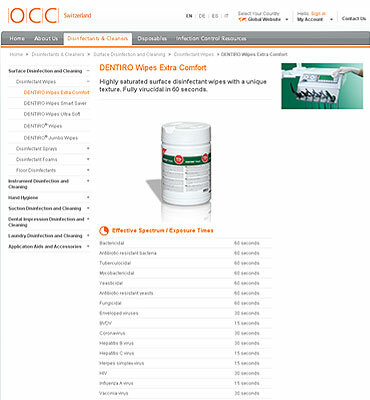 OCC Switzerland is a leading manufacturer of disinfectants for over four decades. 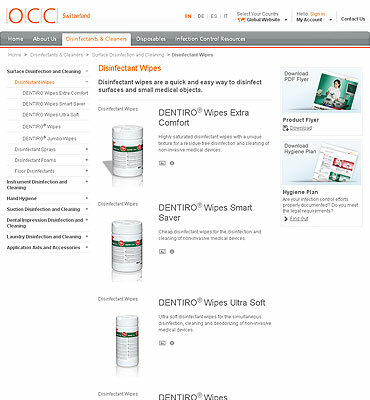 These disinfectants are used by the professionals working in medical and dental sectors in Switzerland and other parts of Europe. 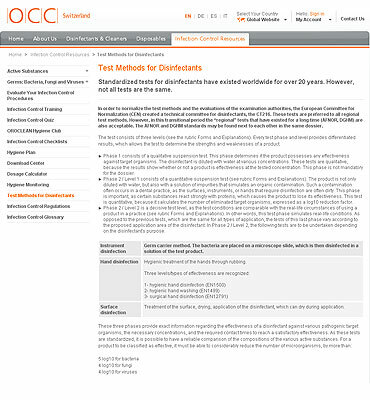 The manufacturer has the mission of providing high-quality disinfectants for fighting diseases worldwide. The manufacturer uses high-tech computer-integrated manufacturing processes for executing its operational procedures periodically and on time. With the PIM system deployed, the client streamlines the information related to product classifications, composition, safety phrases, hazard-specific guidelines, and the like. Also, the PIM system automates the most time-consuming processes. The multilingual web ecosystem now supports 47 languages such as Arabic, Bengali, Bulgarian, Chinese (Simplified), Chinese (Traditional), Croatian, Czech, Danish, Dutch, English, Estonian, Farsi, Filipino, Finnish, French, German, Greek, Hebrew, Hindi, and many more. The PIM system is engineered for adding, activating, and inactivating webpages and the entire website for all 46 domains within one centralized location. After the PIM system has been deployed, OCC has automated the generation of high-quality PDF docs such as flyer, technical data sheets, banners, data sheet, material Safety guides, and many others. I have been working with Flexsin now for more than 6 year and I am extremely pleased with their perf..
At Flexsin, automated business processes and made OCC focus on its core manufacturing expertise rather than document management. Automation was executed for bringing down human efforts and saving money. For achieving business automation, we deployed an account manager, a project manager, a senior designer and developer, a business analyst, and a testing analyst. 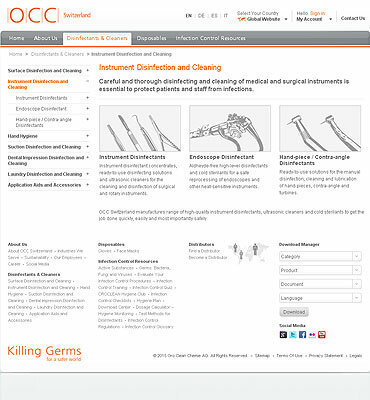 Front-end While designing OCC's healthcare management system, we deployed front-end technologies for making its e-commerce system intuitive and load faster. We used the following technologies for designing the client's e-commerce web ecosystem. Backend We leveraged the right technology in the backend for streamlining the whole web e-commerce ecosystem. 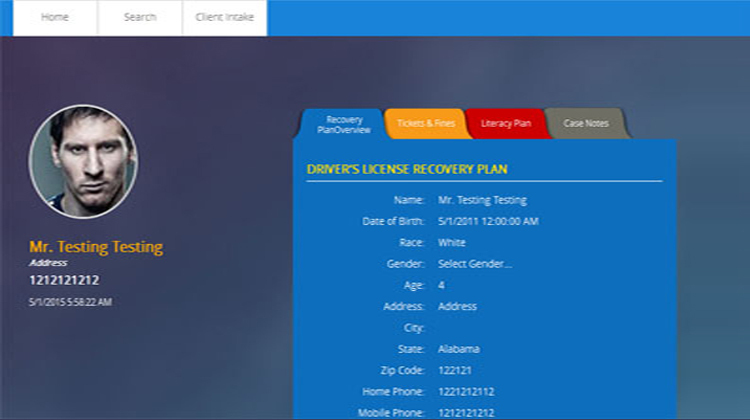 These are the backend technologies that we used while building a robust web-based healthcare information management system. Development Process We followed a full-fledged agile development process while designing the healthcare management ecosystem for OCC. This development process, which empowered the development lifecycle, included the following steps. By following an agile development lifecycle for OCC's project completion, we ensured that we met all the delivery deadlines as planned. We relied on constant feedback from OCC's team for refining the e-commerce ecosystem.